Looking for a better way to sell or buy property? 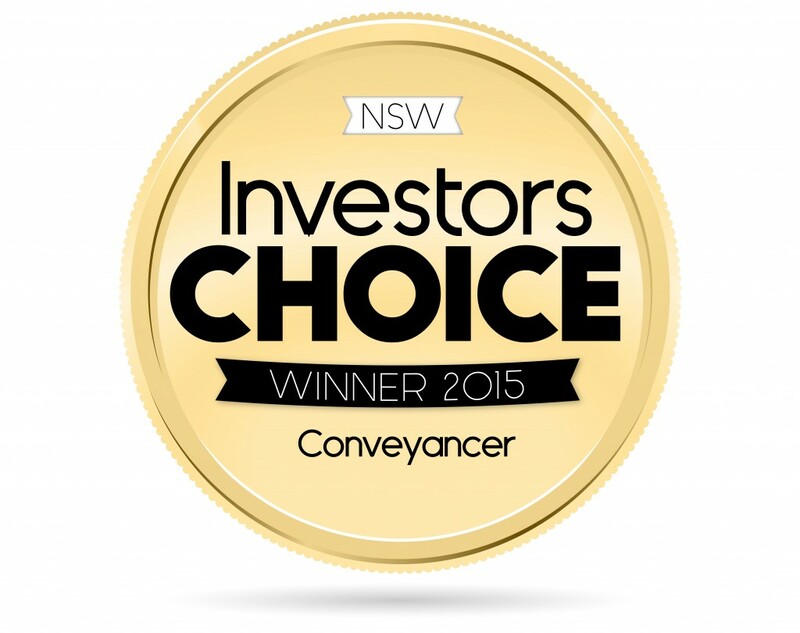 CM Lawyer's are Investors Choice Winner for Best Conveyancer in NSW. Securing title over your family residence, investment property or business requires determination and an attentive lawyer to assist the transaction. Entrust CM Lawyers to safeguard your interests in the purchasing or sales process – we have years of experience with assisting Sydney's first home buyers and commercial buyers/sellers and lessors/lessees. CM Lawyers provides clients with effective conveyancing advice before, during and after the exchange period to preserve your legal rights. As a specialist conveyancer, we apply our extensive property law experience to ensure a smooth conveyancing process from beginning to end. Whether your purchase or sale is for personal or commercial reasons, our conveyancing team can assist you with the legal process to make it as easy as possible for you. "Opting to do your conveyancing yourself can be risky at the worst and time consuming at the least. Not every property purchase is a straight forward affair and without the access to property or title searches, buyers and sellers can find themselves under informed about the details of the sale. Take a look at our infographic on the risks of DIY conveyancing before making your decision." Are you entering the property market looking to purchase your first home? At CM Lawyers, we assist our clients who are purchasing their first home to ensure that the process is as smooth as possible. Buying a home is the probably the biggest financial decision you will ever make in your life. Our team has handled thousands of purchases in the Inner West and surrounding suburbs of Sydney. Let the benefit of our experience work in your favour. We know how stressful it can be when you are selling your property. Our team has handled thousands of sales in the Inner West and surrounding suburbs of Sydney. CM Lawyers has the experience to prepare all agreements and transfer documents to affect any property transfer. We can assist in all types of transfers between family members, due to marriage, due to breakdown of relationships or other reasons. We quite often are asked by our clients to assist them when they are refinancing their properties. They prefer us to deal directly with their lenders to ensure an efficient settlement of their refinance. The excitement of buying a brand new home or unit before it is complete can turn into a financial nightmare. At CM Lawyers we have many years of experience in dealing with off the plan purchases all over Sydney from boutique developments to large community schemes. Our Sydney-based conveyancers at CM Lawyers understand the legal intricacies of living, owning and investing in a company title building. CM Lawyer’s company title conveyancers are familiar with the types of issues, claims and matters and disputes that arise in company title disputes. Before entering a lease it is important to seek legal advice from an experienced commercial lawyer, as not doing so has the potential of having a negative impact on your business’ cash flow at a later stage. The conveyancers at CM Lawyers can provide you with assistance for matters to deal with retail and commercial leases. At CM Lawyers, our Sydney-based lawyers have dealt with many issues of the sale or purchase of businesses over the years. If you are intending to purchase an existing business and are seeking legal advice, CM Lawyers can assist you with the legal process. Property Law specialists for a smooth conveyancing process from start to finish. Whether you’re looking to buy your first home, selling a property, interested in company title or leasing a retail or commercial lease, make sure to call CM Lawyers to answer any of your questions. Over the phone we can talk you through the conveyancing process, provide you with an obligation-free quote and give advice on any potential additional costs to take into account.